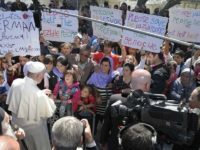 His first official visit outside of Rome in 2013 to the island of Lampedusa, the celebration of Holy Mass in Ciudad Juárez in February 2016 in front of the barbed wire fence separating Mexico from the United States, a visit to the refugees on the island of Lesbos on 16 March 2016 – Pope Francis repeatedly succeeds in using symbolic actions to draw the attention of the international public to the suffering and misery of the world’s 60 million refugees. The appeal to the “spirit of brotherhood, solidarity and respect for human dignity” that has characterised the long history of the European continent could be viewed as an indirect criticism of the reluctance of many EU states to accept any refugees at all. Pope Francis went on to say that Europe is “the home of human rights, and whoever sets foot on European soil must be able to feel that.” A hint of unease about the deal between the EU and Turkey concerning refugees could be detected here. The Pope made reference to the Biblical story of the Good Samaritan, who sees a badly injured man by the side of the road and immediately stops to help him. He interpreted this story as a parable of God’s mercy and also an exhortation to be compassionate towards people in need. He expressly appealed to the compassion of Europeans in the face of the refugees’ need. The ecumenical dimension of the visit was given considerable attention: the Pope was accompanied by Bartholomew, the Orthodox Patriarch of Constantinople, and Hieronymus II, Archbishop of Athens and Primate of the Orthodox Church in Greece. The shared concern for the refugees naturally promotes ecumenism. In a joint declaration, the three church leaders urged the international community to tackle the humanitarian crisis through diplomatic, political and charitable initiatives, and through joint efforts in the Near East and in Europe – a matter of defending fundamental human rights, protecting minorities, fighting human trafficking and people smuggling, and developing safe resettlement procedures. The Pope made an additional gesture of taking three Muslim refugee families, including six children, with him on his flight to Rome. Objections were raised to this, saying that he had thus opened up future opportunities for 12 people, but left behind 2988 without hope. This was countered by a German journalist who calculated that, given the population of the Vatican City State – around 800 – this figure equates proportionally to the 1.2 million refugees accepted into Germany. It can also be seen as the Pope leading by example in the provision of a humanitarian corridor. 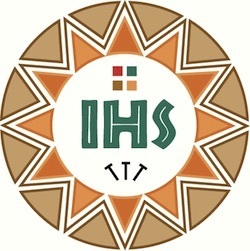 Many church groups have acted similarly for some time, including the Community of Sant’Egidio, the evangelical church of Italy and the Waldensians in cooperation with the Italian government. In a pilot project launched in March 2016 a total of 1000 particularly at-risk African and Syrian refugees were granted safe passage into Europe. It remains to be hoped that this will serve as an example for the rest of Europe.